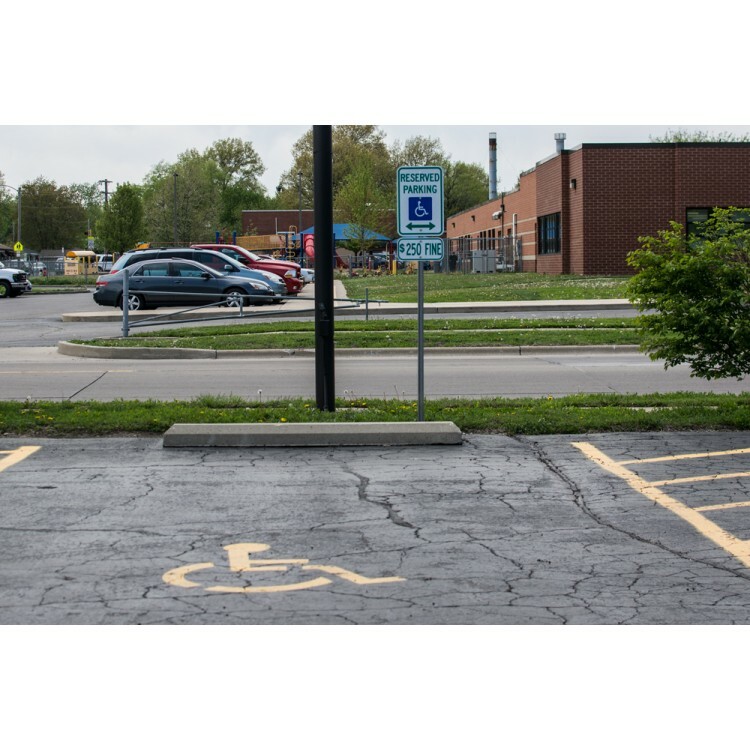 All accessible parking spaces are to be 16 feet wide and must include the minimum 8-foot parking space and an adjacent diagonally striped access isle, either 8 foot or 5 foot wide. 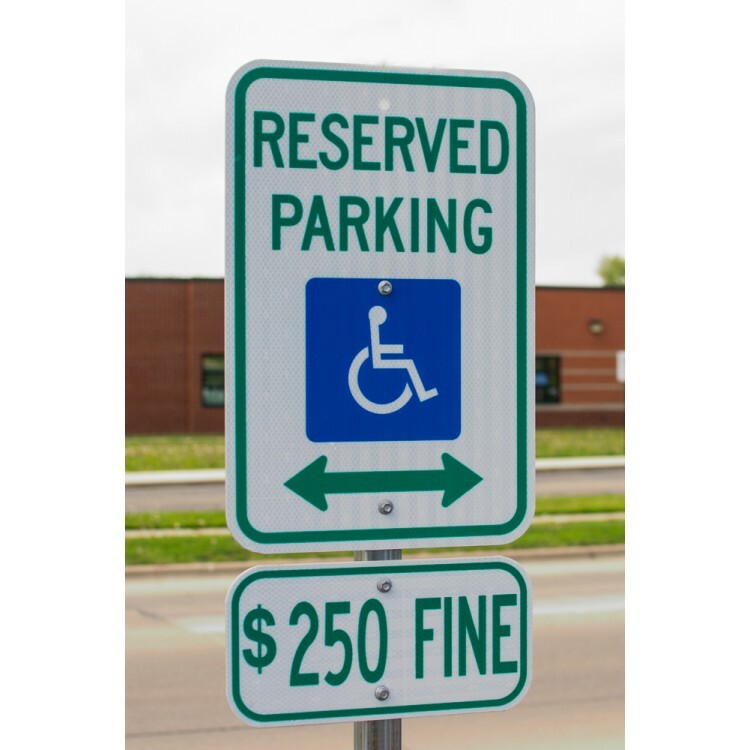 Each 16 foot parking space must have its own Reserved Parking sign with a minimum of $250 fine sign (up to $350) erected in the center and at least 60 inches (5 feet) above the surface of the parking space. 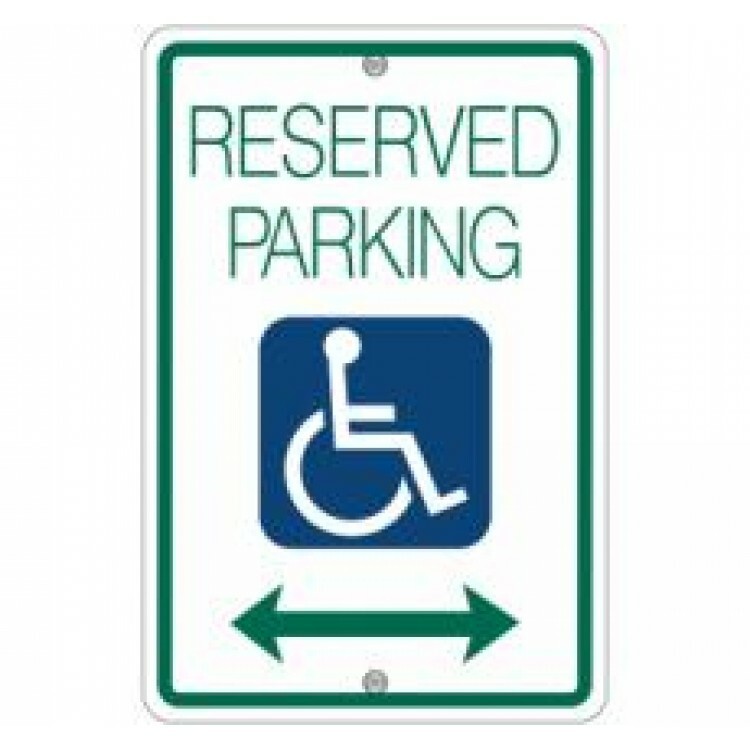 The number of accessible parking spaces that must be provided is based on the total number of spaces in each lot. 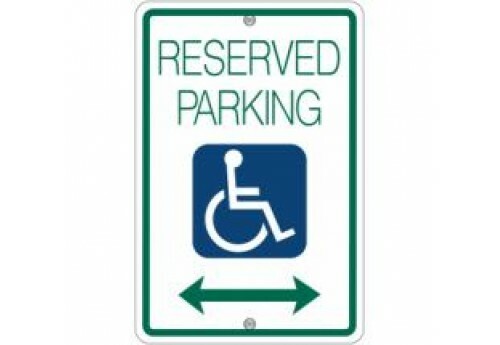 One accessible parking space is required for every 25 parking spaces.